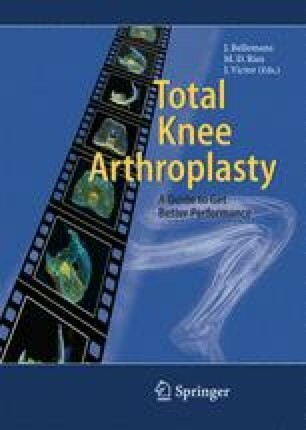 Total knee arthroplasty in the rheumatoid patient presents unique challenges, including the systemic nature of the patient’s disease, the presence of significant soft-tissue deformities and osteopenic bone, and an increased risk of complications such as wound healing and persistent contractures. In order to maximize the probability of a successful outcome, the surgeon must optimize the patient’s pre-operative medical status, pay meticulous attention to soft-tissue balancing and contracture release in the operating room, and closely monitor the patient’s postoperative course. Adherence to these principles optimizes the results of total knee arthroplasty in the rheumatoid patient, making this a very rewarding procedure for both patient and surgeon.